In certain circumstances, you may want to relocate a protected system from one device to another. This could be for several reasons including migrating to a new appliance or balancing out storage consumption between vaults. 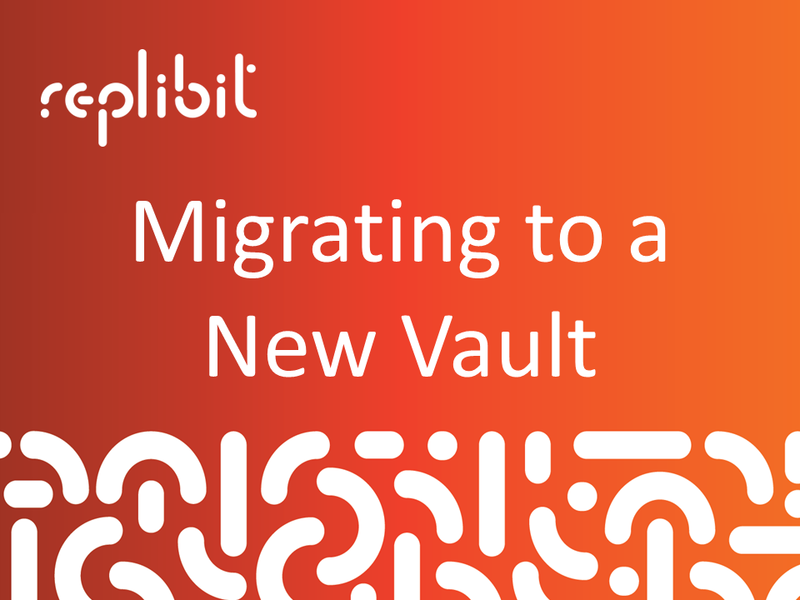 In order to facilitate this process, Replibit has the ability to perform a full migration of protected systems, including all recovery points, job histories, and metadata from one device to another. Important note: Please migrate only ONE system at a time. 1. Verify that no backup or replication jobs are active for the protected system by checking the, "Backup and Replication" pages on the Jobs menu. 2. Stop and Disable the Replibit Agent Service on the protected system. 3. On the appliance, set the retention policy to Basic and -1 so retention will not roll off any snaps. 4. On the appliance, from the, "Protected System Details" page of the system you are migrating, select the Migrate button. If replication is configured for the protected system, replication settings (including remote connectivity settings defined on the Vault Settings menu of the appliance) will be copied, and migrated to the new appliance. Note: If migrating via USB, an encryption password is required. IMPORTANT NOTE: Please do NOT lose this password as it cannot be recovered! 6. When you have selected your desired migration setting, and entered your encryption password, click the Migrate button to begin the migration process. Note: you can Monitor the progress from the System tab on the Jobs menu pane. - Verify that the migration job completes successfully on the Source appliance. - Verify that the migration job completes successfully on the Target appliance. 8. If migrating via USB, once the export process completes on the Source appliance, connect the USB drive to the Destination appliance. From the, "Protected Systems" page, click the Import button, and then select the protected system being migrated. 8. Monitor the Migration Import process from the System page on the Jobs menu. Verify that the job completes successfully. To update the Agent on the protected system: Edit Aristos.cfg on the protected system, and change the IP address to that of the new appliance being migrated to. 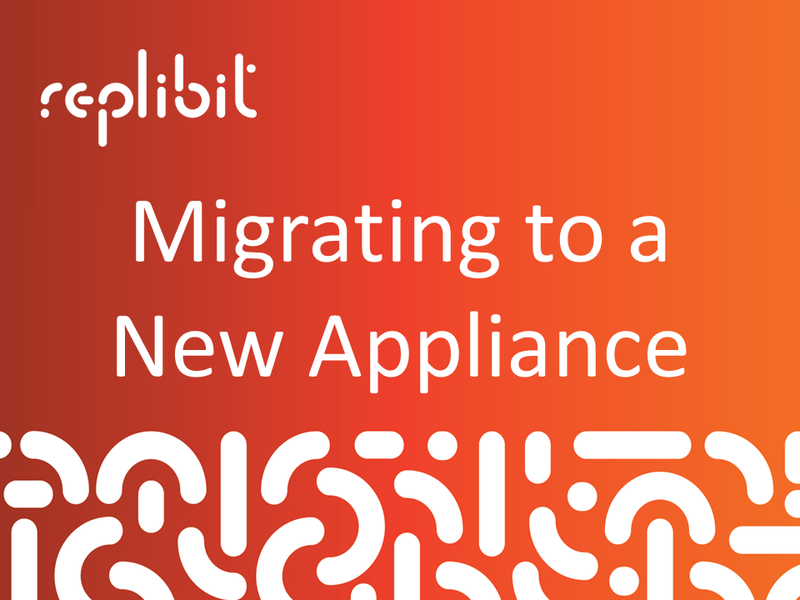 If migrating within a cluster, once the job is successfully received on the destination Appliance you must reconfigure the Agent to point to the new Appliance IP address. 1. Disable replication on the appliance for the protected system that is being migrated from the Protected System Details page by unchecking the Enabled checkbox shown below on the far left side of the window. 2. On the Vault, from the Protected Systems Details page of the system you are migrating, select the Migrate button. 4. Click the Migrate button to begin the migration. If migrating via USB, an encryption password is required. 5. Monitor the progress from the System tab on the Jobs menu pane. (a) Migration Export on the source Vault, and then (b) Migration Import on the target Vault. Once the Export job is completed successfully on the source Vault, the Import job will automatically start on the target Vault. - Verify that the migration job completes successfully on the Source Vault. Once the migration has successfully completed, you may re-enable the appliance to replicate with the original Vault and/or add a new Vault and enable Replication, and click on the Save button. To add the new Vault, click Add, select the new Vault from the dropdown list, Select the OLDEST snapshot and click Save. Do NOT select USB Seeding. Note: You must type in the case-sensitive hostname of the Protected System to enable the Delete button action, and then click on the Save button.